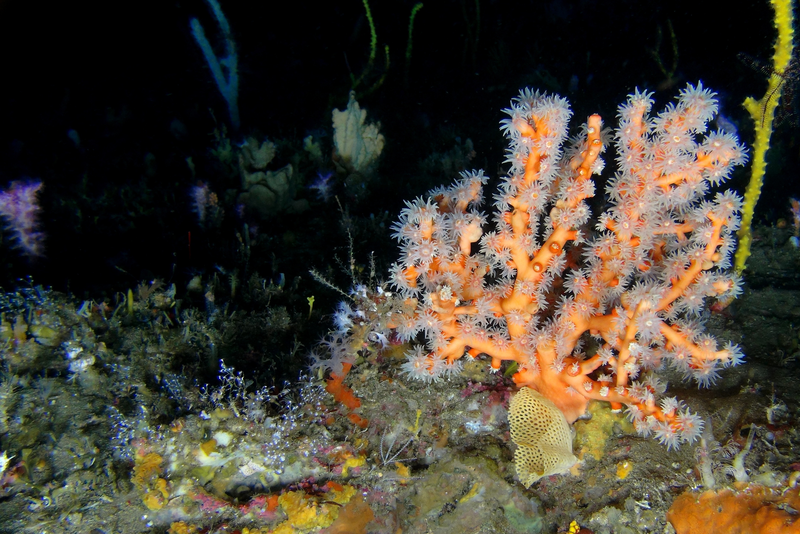 The new MPAs are the result of many years of work by a small but dedicated team of scientists led by Dr Kerry Sink of the South African National Biodiversity Institute (www.sanbi.org). 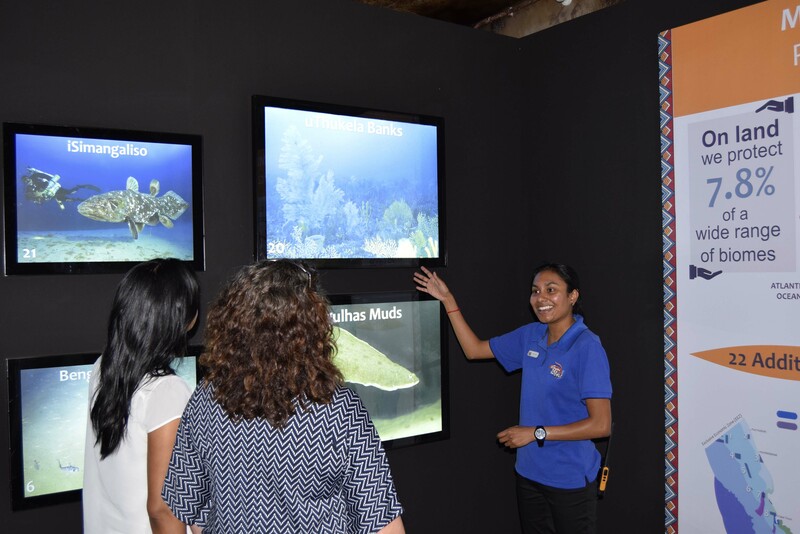 Kerry, who attributes her passion for the ocean to a school visit to the Durban aquarium many years ago, has worked tirelessly towards the proclamation of the MPAs. 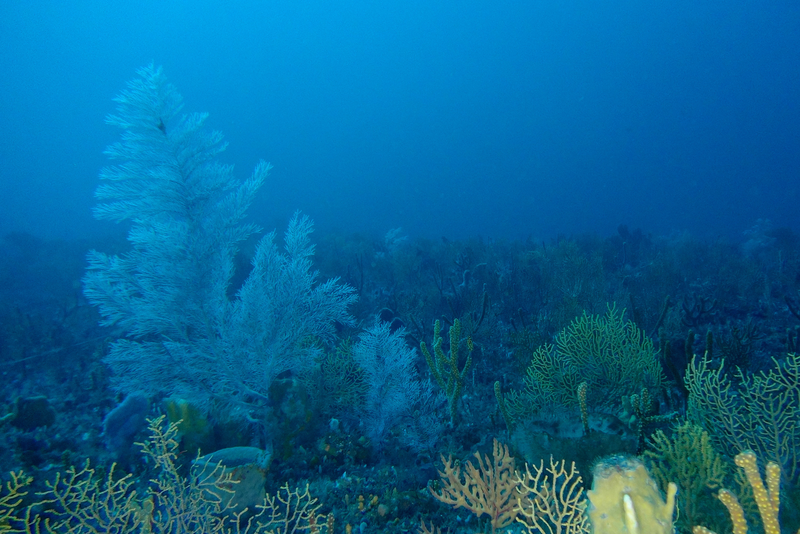 Together with many other South African scientists, including those based at SAAMBR’S Oceanographic Research Institute (ORI), a network of MPAs was designed that would protect the greatest variety of unique marine biodiversity possible, while minimising conflict with fishing and mining. Once the team had designed a solid network, the public participation process started. Working with the Department of Environmental Affairs, Kerry was intimately involved in many of the meetings and negotiations with stakeholders. She participated in discussions with various Ministers and passionately advocated for the MPAs wherever possible. Said Dr Bruce Mann, Senior Scientist at ORI “Kerry’s passion really drove this process, she never gave up”. To help communicate the need for the MPAs more widely Kerry was able to use part of her PEW Fellowship (www.pewtrusts.org/en/projects/marine-fellows) to design a communication campaign for MPAs. 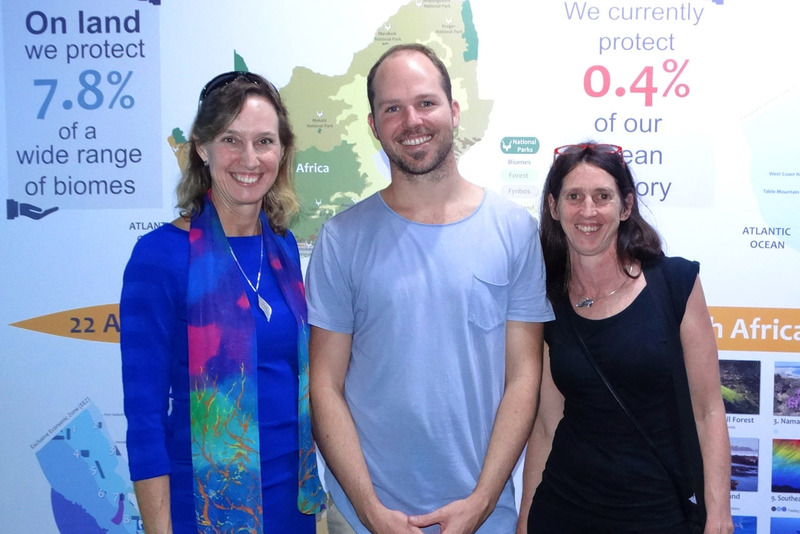 Working with Dr Judy Mann, SAAMBR Conservation Strategist, who provided communication guidance, and Otto Whitehead, a local filmmaker, they developed a comprehensive website (www.marineprotectedareas.org.za) and a new video ( ) to showcase the beauty of the new MPAs and highlight the need for their protection. These were targeted at decision makers, to support them in their deliberations. “A key element in the new South African MPA network design is the alignment of ocean protection and ocean economy goals” said Kerry. The new network is grounded in a scientific process that uses hundreds of map layers to ensure that ocean management objectives can be met while supporting sustainable development of South Africa’s ocean economy. The announcement of the new MPAs was, therefore, the culmination of over 10 years of research, communication with decision makers, negotiations with stakeholders, and much, much more. When she heard that that MPAs had been approved for proclamation Kerry said “I was filled with hope for South Africa’s future, gratitude for the wise leadership that brought this decision and joy that the special places in our ocean will be looked after”. The story is not over – work on the declaration notices and the regulations for each MPA has started so that they can be declared in early 2019. 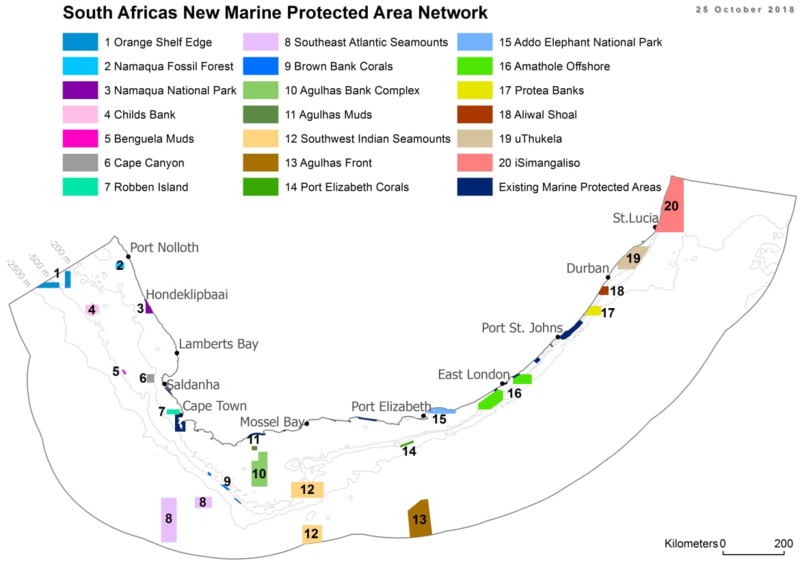 The map of the new MPAs was released on Sunday 18 November at the COP14 gathering in Egypt.